From humble beginnings in the 1970’s, Micro Focus has evolved to become a much larger organization nowadays. At that heart of that organization sits COBOL technology. The Micro Focus COBOL history is a perfect illustration of customers continuing to derive value and future innovation from previous IT investments. An idea conceived in the 1950s, it has grown and adapted and evolved and supports a vast number of enterprises today. For Micro Focus, COBOL is still one of the largest assets in the portfolio. COBOL’s popularity is actually no secret at all. It doesn’t receive the same fanfare as other contemporary technology; it quietly goes about running the global economy, supporting large-scale enterprise systems across many major sectors and industries. Various sources reinforce the ubiquity of COBOL – over 90% of the fortune 100, the vast majority of major banks and insurers, with large footprints across retail, healthcare, government, automotive and other sectors. Loosemore comments, “Mission-critical applications in COBOL still run most of the major at-scale transaction systems, such as credit-card processing [and] large travel logistics”. Its status as a valued computer language, in a diverse technology market, has persisted. One respected measurement, the TIOBE index shows COBOL at number 23 as of October 2017. More significantly it shows COBOL as present in the top 30 since 1987, one of only 3 languages that can make that claim over that period. 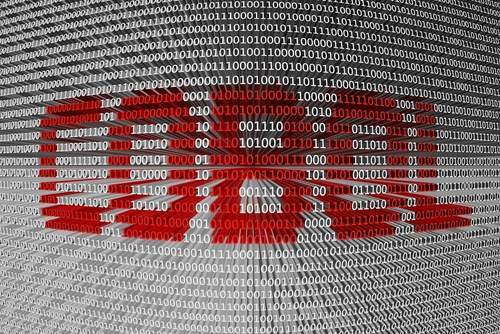 What’s so good about COBOL? COBOL can be traced back to the pioneer Grace Hopper in the late 1950’s and has evolved over the decades thanks to care and attention from Micro Focus (and others). Over the years it has developed a reputation and staying-power, largely thanks to five key characteristics. We have blogged about those strengths previously, but it is significant how much of that truth remains. Within in a few years, the IT world has changed immeasurably – Blockchain, AI, IoT, mobile devices along with the increasing ‘Digitization of everything’. Meanwhile, Java came of age, the Mainframe turned 50, and Linux turned 25. Core business systems need to modernize for the digital age. This is driving the appetite for modern tooling to help transform core COBOL systems. Micro Focus thinks change and growth is the norm. 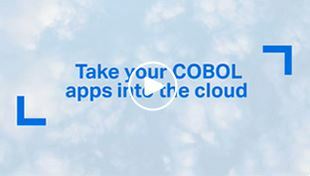 Micro Focus continues to make the COBOL applications accessible on newer platforms – customers are moving some of their apps to public cloud, but a lot of their business-critical apps are remaining on-premise. Customers are looking for flexibility in their deployment models from mainframe to public cloud, across a range of infrastructure. But core systems such as COBOL must be retained, as that’s where the business value resides. It could be argued that in Enterprise IT, the only constant is change. Indeed that’s exactly what we have argued before. Upholding and developing COBOL’s reputation is a Micro Focus cultural objective – and the facts are on our side. Micro Focus has been around for over 40 years, and throughout that proud heritage, its COBOL software has evolved significantly. It remains unbelievably efficient and relevant today. In the October 2017 Gartner symposium, the keynote address predicted that 90% of all of today’s applications will still be in use five years from now. Valuable systems endure; COBOL systems. It’s hard to argue against that. The latest incarnation of Micro Focus COBOL portfolio, version 4.0, is available now. Learn more about Micro Focus’ distributed and mainframe COBOL products.